Master Planning is underway for Lowell Lake State Park’s future. Please check back here and the Maps/Docs section of this page for updated information. Turn onto Lowell Lake Road. In 1/2 mile, turn right at T-intersection. Park entrance is just up the hill. Hiking: The 3.5 miles Lowell Lake Trail circles the lake. Boating: Non-motorized boats are welcome at the park. There is a car-top boat launch, though there are no boats available to rent. Fishing: Perch, pickerel, large-mouth bass, bullhead and panfish swim in the waters at Lowell Lake. Picnicking: There are great picnicking spots around the lake. Lowell Lake State Park was established in 1977 when the State of Vermont purchased 207 acres from the Estate of Arline Weiss Gardner on the southern end of Lowell Lake. This area included the dam, cemetery and an informal car top boat launch. With assistance from the Vermont Land Trust, 154 acres known as the "White Property" was acquired in 1996. This area included a former summer camp with a rustic lodge and numerous lakeside cabins, two islands, Picnic Island, Annie's Island and a residential structure that is being used as a caretaker's residence. The park property encloses the majority of the lakeshore, including some significant wetland habitat. 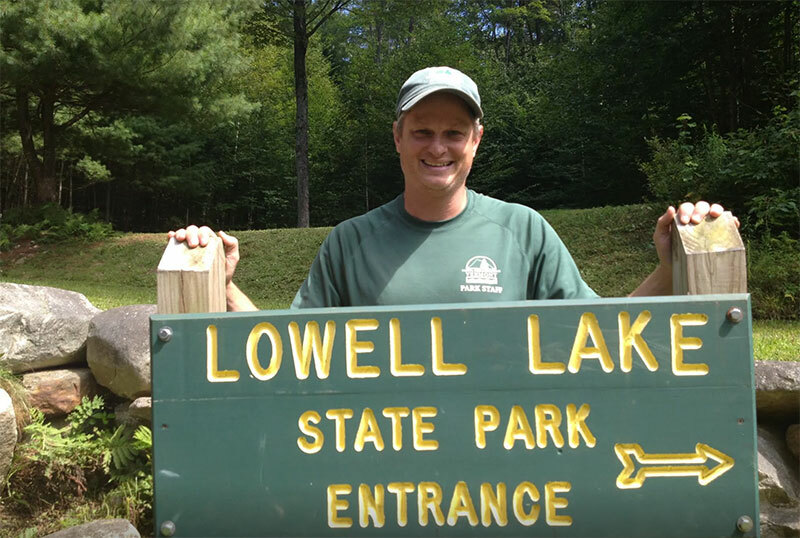 A steering committee comprised of community members, the Vermont Land Trust, and staff from the Department of Forests, Parks, and Recreation developed a long-term management plan and operating philosophy for Lowell Lake State Park. The plan calls for the rehabilitation of the cabins and lodge, and management of the site that allows the majority of the park to remain in its natural state. Lowell Lake Trail is a loop approximately 3.5 miles in length, which completely encircles Lowell Lake. Trail highlights include a Revolutionary War-era cemetery, stands of large white pine trees, and scenic views of the lake and wetlands. The trail is located on relatively flat terrain and the hike is of moderate difficulty. The trail is marked with blue paint blazes. 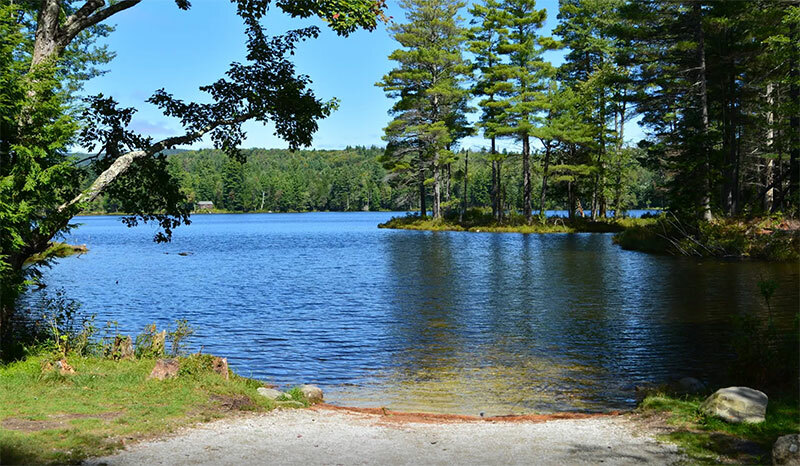 The northern portion of the trail follows park service roads on both sides of the lake as well as approximately 1000 feet of Little Pond Road, a town road. Parking for the trail is available at the parking area located near the boat landing off Lowell Lake Road. Only non-motorized watercraft are allowed on the lake. Currently park use is limited to informal day use with no facilities. Overnight camping and campfires are not allowed. Please hike on marked trails. Hiking off trails causes erosion and destroys vegetation. Keep trails free of litter. Carry out what you carry in. Trails are for foot travel only. ATVs are not permitted on state lands. Please leave all wildflowers and other plants in their natural environment for others to enjoy. Respect the rights of private property owners.